Helping people find a better way! Andy Albright is a person who does things that others will not do so that he can live and do things that others can never do! The United States is filled with people who have big dreams, big ideas and a healthy entrepreneurial spirit. Andy Albright is one of those people, and he’s on the hunt to find people just like him around the country in the new season of “Self Made” on Amazon Prime. The show was produced by Hotseat Media, which has produced branded TV content and sponsored series for Chevrolet, Boston Scientific, and the Spartan Race series. 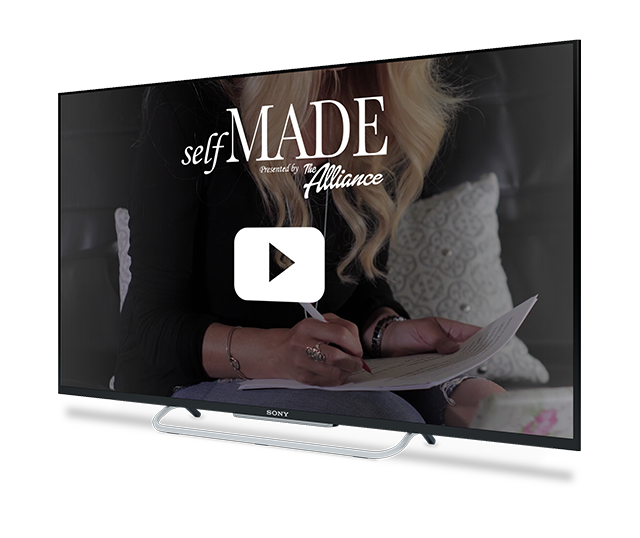 “Self Made,” is an episodic TV series about entrepreneurs, is entering its second season with The Alliance as the presenting sponsor. Andy Albright grew up in Burlington, N.C. spent his youth working the fields, playing baseball, and dreaming of how he could improve his circumstances. Electing a path of education over professional sports, he graduated from NC State University with a degree in textile sciences. He would spend the next 11 years proving his leadership ability at textile companies such as Glen Raven Mills, Allied Signal, and Burlington Industries. That career might have been enough for some, but not Andy. 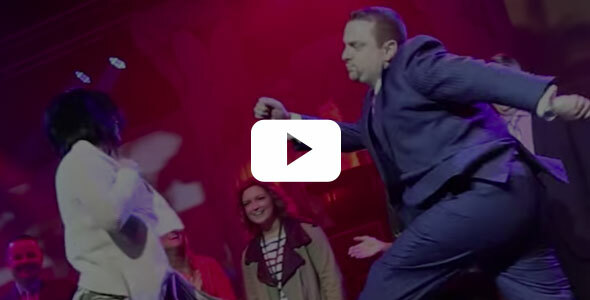 Everything changed when his wife’s health took a turn for the worst. With the family finances as they were, Jane had no choice but to continue her work as a school teacher through her illness. That was the last straw. From that point on, Andy vowed to do whatever it took to climb out of that situation. His opportunity came when he co-founded National Agents Alliance and life insurance sales. From that moment on, he never looked back. The Wednesday Call with Andy Albright is a weekly program that is designed to help you grow and improve in business and life. 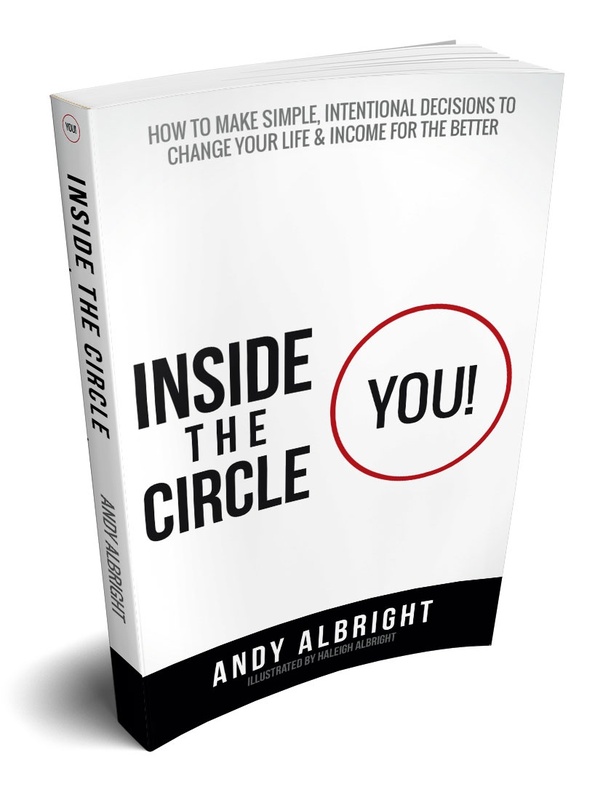 Through simple yet effective teaching principles, Andy Albright helps people move from where they are to where they want to be in as little time as possible. If you are looking for an opportunity to change your life for the better, The Wednesday Call should be part of your weekly schedule. 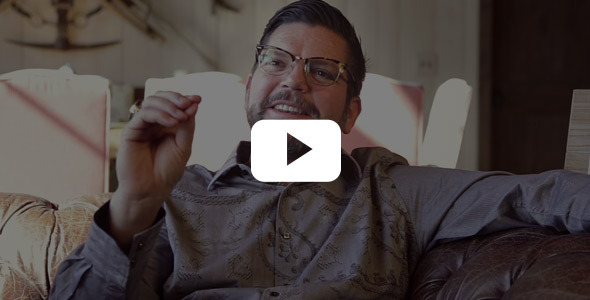 Through this show, Andy reveals all of his business and live strategies to help people see how they find a new career through National Agents Alliance and help people all across the United States at the same time. The Wednesday Call helps people learn how to make a living working as little or as much as they choose to each week. Andy Albright delivers his show "The Wednesday Call" live each Wednesday at 12:30 p.m. ET. This 90-minute show gives viewers an inside look at what is happening at The Alliance and in Andy Albright's world. The show includes special guests, in-depth training and the latest news from The Alliance. Produced by AMP Studios, "The Wednesday Call" is broadcasted live from The Alliance corporate headquarters in Burlington, N.C.
Get your copy of "Inside the Circle" book today! Albright, the President and CEO of National Agents Alliance (aka The Alliance), previously wrote “Millionaire Maker Manual” in 2012 and “The 8 Steps To Success” in 2010. Albright’s “Inside The Circle” was initially made available to members of The Alliance, who offer financial services through life insurance products through more than 15 insurance carriers, in July at one of the company’s two national events held annually in Burlington, N.C. at its corporate headquarters. Albright believes there is something useful for anybody who picks up a copy of his latest book. “There’s a lot of simple, but useful stories and principles in this book that most people don’t even consider or think about on a daily basis,” Albright said. “This project is a result of countless hours of talks that I’ve given around the country, topics from my weekly show, The Wednesday Call and hundreds of pages of notes I’ve compiled in the last two years.” The goal of the book is to help people define exactly what they want in life and business, and then figure out how to start taking steps that will move them toward their goals and dreams. It is said that we are the average of the five people we surround ourselves with most. I believe this is true, and therefore I try to surround myself with achievers, movers and shakers more successful than me so that I can glean some of their successful habits and mindsets for myself. A simple way to surround yourself with successful achievers is by reading books. After I made the decision to strive for greater success, I began voraciously reading business books containing stories of the titans of industry. I’ve had the pleasure of meeting and consulting with some of the heroes in those stories, and their influence has helped me to paint a picture of myself in their position. As I began to imagine myself as part of their social group, I found my own wealth and success rising higher. The photographs found within this section are a sampling of some of the greats I’ve met and worked with over the years. I hope you are inspired by them, and choose to seek out your own heroes as you strive for higher heights. 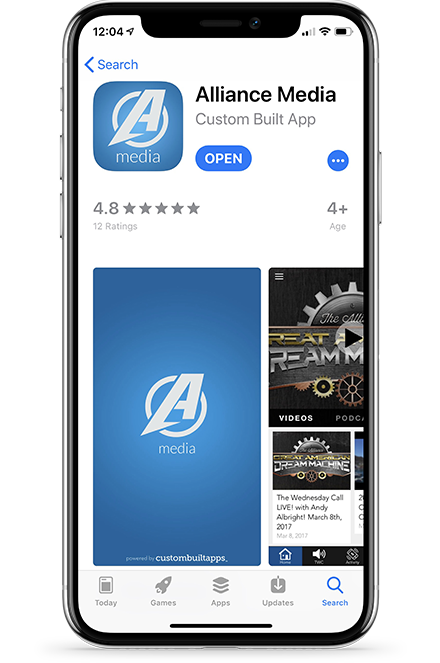 Through our Alliance Media app, access the latest videos, podcasts, and photos from The Alliance, as well as blog messages from Andy. Andy Albright is the co-founder, President and CEO of what is arguably the country’s largest and most successful insurance marketing organization specializing in life event marketing and sales. Albright has a strong desire to see his agents, often his best friends, succeed. To outsiders, his rugged and raw determination can seem intimidating at times, but those who know him – his family, his top managers and his corporate executive team – know Albright has a masterful skill of motivating people to take action. His story is certainly one of a man with a dogged determination to fulfill a dream for his family, the struggles he’s encountered along the way, and the ultimate victory he has achieved. Throughout the journey, Albright’s been working hard to make The Alliance the best company it can be, while helping people across the United States protect their families. Follow Andy on Instagram for Daily Photos and Motivational posts! Follow Andy on Twitter for CONSTANT news and updates! Subscribe to Andy’s Youtube channel to stay in the loop with live video streams!